A 39-year-old man who died after being assaulted in the Bradgate area of Rotherham has been named as John Methley. 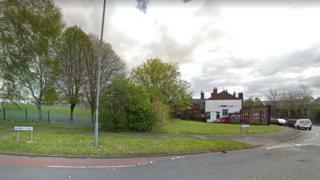 Mr Methley was found unconscious with head injuries on Midland Road on 4 February at about 18:25 GMT. He was taken to hospital but died six days later. South Yorkshire Police have begun a murder investigation and appealed for anyone with information to come forward. Mr Methley's family have appealed for his attacker to hand themselves in. "The entire family are grieving for John and we'd ask that the people responsible for John's death hand themselves into police," a statement said. "We want anyone with information about John's death to please contact the police." Detectives want to hear from anyone with information, in particular anyone who may have dashcam footage from the Midland Road and Garden Street junction.